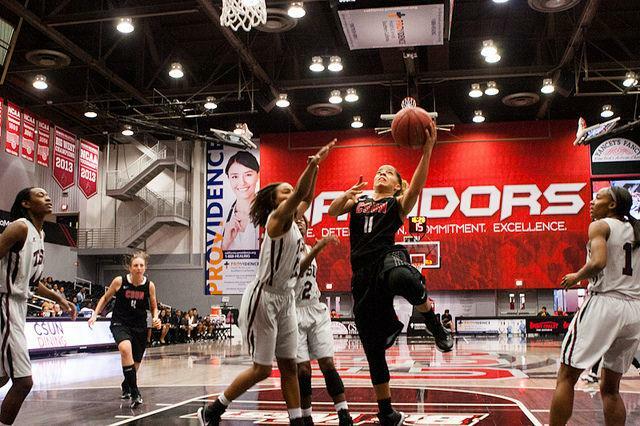 On Nov. 30 the Matadors received news that they would not be competing in the NCAA tournament this season after they made it into the top 50 as the No. 49 seed. Danetta Boykin, junior communications major, has chosen not to get distressed about the decision and does not plan on thinking too much on the “should’ve, could’ve, would’ve” moments of the season. 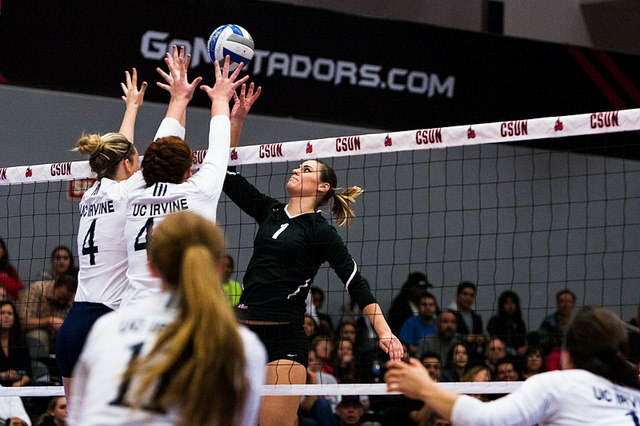 Over the course of the season, she has made her presence felt as an outside hitter for the women’s volleyball team which just closed out its season (19-9 overall, 10-6 Big West) on Nov. 29. 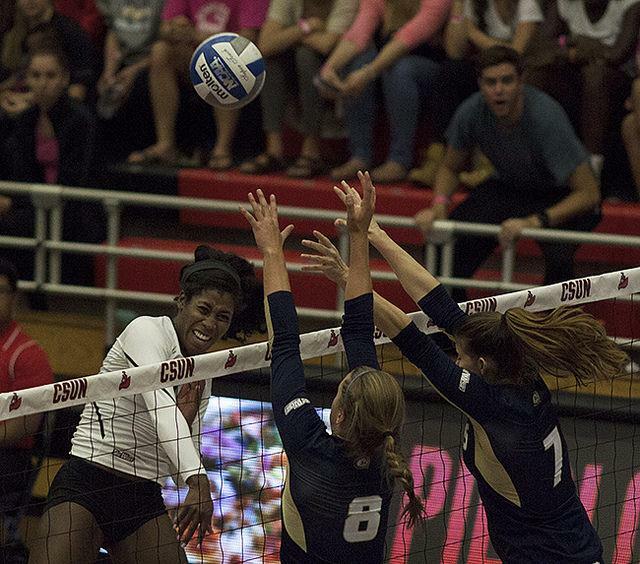 Although Boykin has only been a part of the Matadors this past season, she quickly became a staple in many of the team’s plays with an 3.24 kills per set and an average hitting percentage of .292. 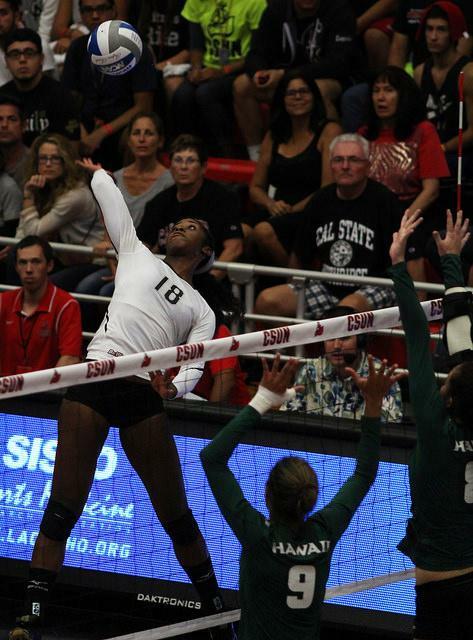 Boykin’s play earned her a spot on the 2014 Big West women’s volleyball All-Conference Team. Before this season, Boykin was a student at Los Angeles Pierce College where she led her team to two undefeated seasons in 2011 and 2012. She became a two-time All-American, MVP of the State Tournament in 2011 and Western State Conference Most Valuable Player in 2012. 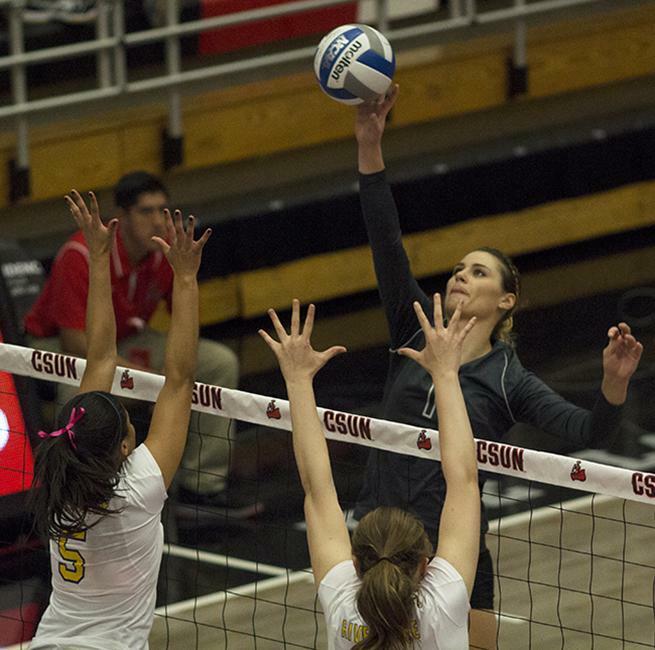 That experience was one that Boykin felt was helpful in her transition to playing Matador volleyball. Competitive, as Boykin would describe it, would be a minor understatement when labeling her gameplay. She can often be seen screaming and jumping in extreme excitement when she (or any Matador for that matter) completes a successful play. Her passion for the sport and her competitive nature can sometimes get so intense that she has to remind herself to have fun, whether they win or lose, and not take things so seriously. That reminder, which was inspired by her teammates, has helped her generate lifetime friendships with her fellow Matadors. Two of which she insists will be in her wedding someday. Senior teammate Natalie Allen said Boykin was one of the hardest working people she has ever played with. Allen said Boykin’s hard work makes her one of the best teammates she has ever had. Boykin has also acknowledged how the endless support from her mother, grandparents and coaches have helped shaped her into the player she is today but put emphasis on the backing she has received from her brother. She would rather spend her time envisioning her return next season as a senior and her plans on continuing her volleyball career even after her days as a student-athlete are complete. No matter what her future holds, Boykin wants to be able to say she made a difference in someone’s life through the sport that she holds dear.